I finally finished another one of these in this, and only after I put it on to head out the door did I realize that I don't really have any brown flat shoes. 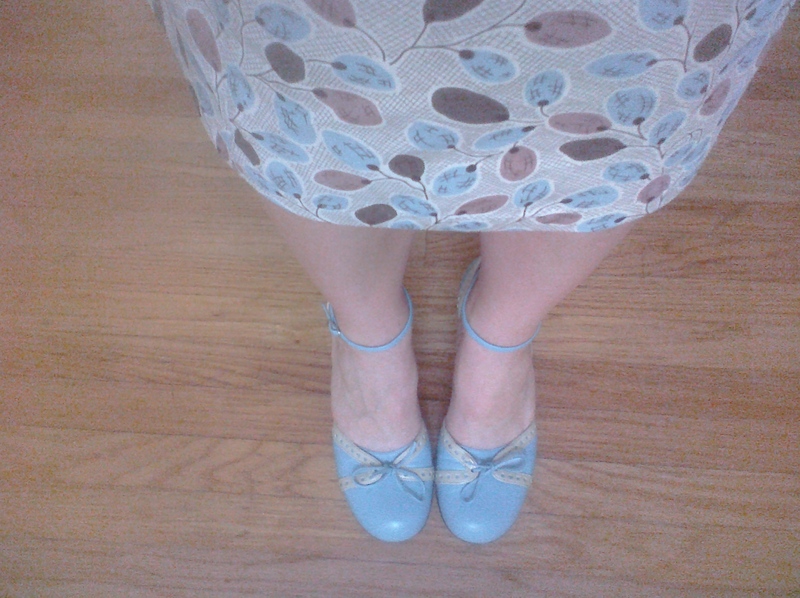 (Or any mauve shoes at all, which is surprising given the number of different pairs of pink shoes I DO own.) Thank goodness for those hoarding tendencies, because I realized that I could haul out these blue-and-cream numbers (which I love, but never wear). They're very comfortable (you can't see the 2+ heel height from this "point the cell phone at your feet" vantage point). Darling shoes! Perfect for the dress. None of THOSE are as good as THE ONES you are wearing! Really cute concept! Cute AND Comfortable? I say: wear them with everything. Can we get a shot of the dress, please? Love that print. Shoe perfection – they could not be cuter or a better coordinate for the dress. 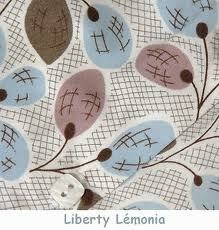 And I dearly love Lemonia, was looking at it several months ago and now wish I had splurged. Although I suppose it would have gone into the leaning tower of aspirations on my sewing table and I would not get to it for years. Sigh. Those shoes are the cutest! And just perfect for the dress for any occasion.